The Mercury Titleholders Championship: A regular (non-major) LPGA tournament held from 1990 to 1999. The CME Group Titleholders: The season-ending tournament on the LPGA Tour held since 2011. The Mercury Titleholders Championship was a golf tournament on the LPGA Tour from 1990 to 1999. It was played at three different courses in Florida. The event was separate from the Titleholders Championship, a former major championship on the LPGA Tour, and also from the CME Group Titleholders, which will become the final official event of the LPGA season starting in 2011. The 1990 LPGA Tour was the 41st season since the LPGA Tour officially began in 1950. The season ran from January 19 to November 4. The season consisted of 34 official money events. Beth Daniel won the most tournaments, seven. She also led the money list with earnings of $863,578. The 1999 LPGA Tour was the 50th season since the LPGA Tour officially began in 1950. The season ran from January 15 to November 14. The season consisted of 38 official money events. Karrie Webb won the most tournaments, six. She also led the money list with earnings of $1,591,959. The Titleholders Championship was founded in 1937. 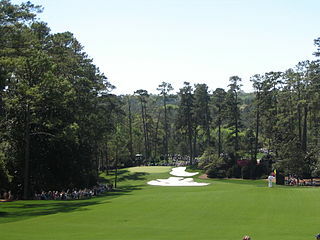 Like the Masters Tournament for men, which began a few years earlier, it was played in Augusta, Georgia, though at Augusta Country Club, not at the adjacent Augusta National Golf Club. The winners of various amateur and professional events were invited to take part, although most of the competitors were amateurs. There were very few women professionals at the time and most earned their living as club or teaching professionals. The Titleholders itself did not offer prize money until 1948, when a prize fund of $600 was introduced, with half of the money going to the professional placing highest in the event. The tournament was discontinued after November 1966,  but was revived for one year in 1972, when it was played in May at Southern Pines, North Carolina. All of these stagings are now recognized as major championships by the LPGA, even though the organization was not founded until 1950. The 1966 LPGA Tour was the 17th season since the LPGA Tour officially began in 1950. The season ran from March 17 to December 4. The season consisted of 32 official money events. Kathy Whitworth won the most tournaments, nine. She also led the money list with earnings of $33,517. The 1972 LPGA Tour was the 23rd season since the LPGA Tour officially began in 1950. The season ran from January 5 to November 5. The season consisted of 29 official money events. Kathy Whitworth won the most tournaments, five. Whitworth led the money list with earnings of $65,063. This table lists the golfers who have won more than one Titleholders Championship. 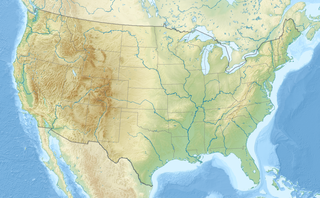 The Women's Western Open was an American professional golf tournament founded in 1930. The LPGA was established in 1950, and it recognized the Western Open as one of its major championships through 1967. All of the events back to 1930 have been designated as majors by the LPGA. The Triangle Round Robin was a golf tournament on the LPGA Tour from 1953 to 1962. It was played at several different courses on the East Coast of the United States. The World Championship was a golf tournament on the LPGA Tour from 1948 to 1957. It was played at the Tam O'Shanter Country Club in Niles, Illinois. It was played concurrently with the men's World Championship of Golf on the PGA Tour as well as World Amateur events. The pre-1950 events are considered official LPGA wins. The Hardscrabble Open, also known as the Hardscrabble Women's Invitation, was a golf tournament played at the Hardscrabble Golf Club in Fort Smith, Arkansas from 1945 to 1953. It was an official LPGA Tour event from 1948 to 1950. The Tampa Women's Open was a golf tournament on the LPGA Tour from 1947 to 1960. It was played at the Palma Ceia Golf & Country Club in Tampa, Florida. The 1950 event was the first official event on the LPGA Tour. The events played before the LPGA was founded in 1950 are recognized as official wins. The 1972 LPGA Championship was the 18th LPGA Championship, held June 8–11 at Pleasant Valley Country Club in Sutton, Massachusetts, southeast of Worcester. The Thomasville Open was a golf tournament on the PGA Tour from 1936 to 1941. It was held at the Glen Arven Country Club in Thomasville, Georgia. The purse each year was $3,000 with a winner's share of $700. From 1936 to 1938 it was a 72-hole event and from 1939 to 1941 it was a 54-hole tournament. 1 2 "Whitworth rules Titleholders". St. Petersburg Times. (Florida). Associated Press. November 28, 1966. p. 4C. 1 2 "Palmer shreds Titleholders with 283 win". St. Petersburg Times. (Florida). Associated Press. May 30, 1972. p. 7C. ↑ "Women's Golf". Spokane Daily Chronicle. (Washington). Associated Press. November 29, 1965. p. 16. ↑ "Peggy Kirk Wins Augusta Tourney". The Evening Independent . St. Petersburg, Florida. Associated Press. March 21, 1949. p. 10. Retrieved May 14, 2010. ↑ "Berg Captures Titleholders Golf Tourney". The Spartanburg Herald . Spartanburg, South Carolina. Associated Press. March 22, 1948. p. 7. Retrieved May 14, 2010. ↑ "Zaharias Cops Golf Crown". The Milwaukee Sentinel . Milwaukee, Wisconsin. Associated Press. March 31, 1947. pp. 2–4. Retrieved May 14, 2010. ↑ "Suggs Wins Titleholders Golf Event". St. Petersburg Times . St. Petersburg, Florida. United Press. April 13, 1946. p. 12. Retrieved May 14, 2010. ↑ "Miss Kirby Keeps Title". Reading Eagle . Reading, Pennsylvania. April 3, 1942. p. 20. Retrieved May 14, 2010. ↑ "Dorothy Kirby Ties Own Golf Record". The Pittsburgh Press . Pittsburgh, Pennsylvania. April 10, 1941. p. 35. Retrieved May 14, 2010. ↑ "Augusta Golf to Mrs. Harb". San Antonio Light . San Antonio, Texas. Associated Press. January 19, 1940. p. 11A. ↑ "Patty Berg Again Is Augusta Winner". Ellensburg Daily Record . Ellensburg, Washington. Associated Press. January 20, 1939. p. 6. Retrieved May 14, 2010. 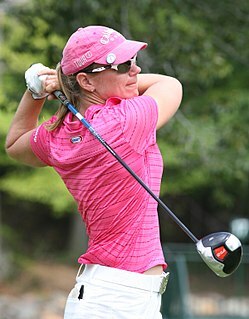 ↑ "Patty Berg Races Ahead Of Golfers In Augusta Event". The Spartanburg Herald . Spartanburg, South Carolina. Associated Press. January 17, 1938. p. 7. Retrieved May 14, 2010. ↑ "Patty Berg Triumphs". The Montreal Gazette . Montreal, Canada. Associated Press. January 18, 1937. p. 16. Retrieved May 14, 2010.